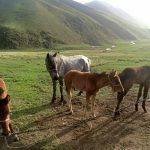 Are you looking for an adventure in the spectacular Kyrgyz countryside that is affordable, a bit challenging but not too physical and that will leave you begging for more breathtaking views? 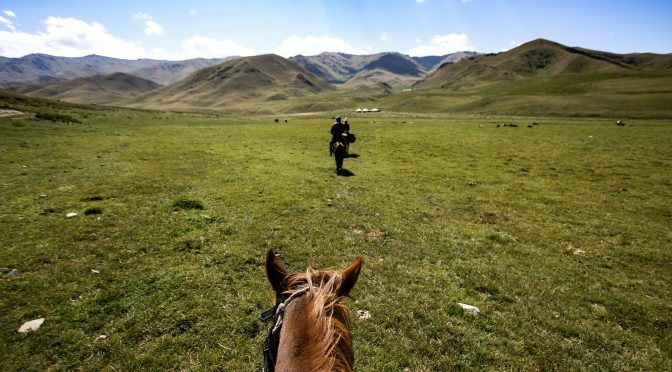 This 3-day 2-night horse riding trip to the alpine lake of Song-Kol is perfect for you then. 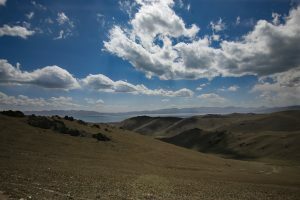 Horse riding around Song-Kol lake and the high mountain pastures is one of the top activities to do from Bishkek. 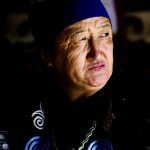 Stay in a traditional Kyrgyz yurt, meet the friendly semi-nomadic families and herdsmen who live in the mountains at 3000m above sea level. 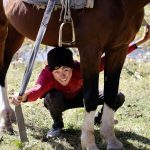 Riding a horse Kyrgyz style is a unique experience. 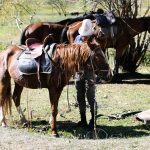 Beginner or experienced horserider, you’re sure to get fantastic memories out of this trip. 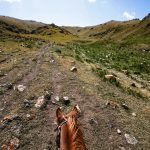 Don’t worry if you’ve never ridden a horse before, our guides will explain exactly how to saddle, mount, ride and even gallop in the Kyrgyz jailoos. 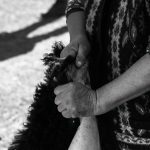 Get a taste of the nomadic life in rural Kyrgysztan! Watch farmers milk mares, drink some mare’s milk, ty to spot some of the many species of birds who live in the area, and soak in the fresh air and the absolutely gorgeous views of the sun setting over the Song-Kol Lake. Don’t forget to bring a tripod with you to snap some pictures of the beautiful starry sky at night with the mountains and the lake in the background. 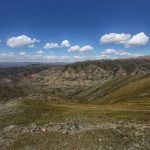 Day 1: Bishkek to Kyzart by bus. 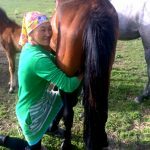 Have lunch in Kyzart before getting on your horse. Horse riding or 3 hours. 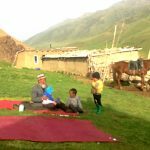 Dinner & night with shepherds in a yurt. 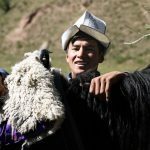 Day 2: Kyzart to Song Kol by horse. Horse riding for 3 hours. 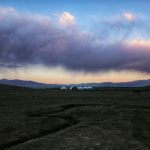 Dinner & night in a yurt camp. 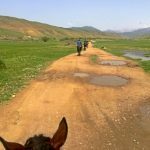 Day 3: Song Kol to Kyzart by horse. Horse riding for around 5 hours. Lunch in Kyzart. Bus back to Bishkek. 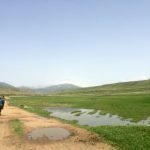 Requirements: trekking boots/gaiters, weatherproof warm clothes, hat, sunscreen, sunglasses, rain coat and warm clothes – it gets really cold at night! 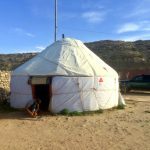 Accommodation & meals: 2 nights in a yurt, 3 lunches, 2 dinners and 2 breakfasts.